The original dress had an elastic waist, zipper back, pencil skirt, and puffy three-quarter sleeves. 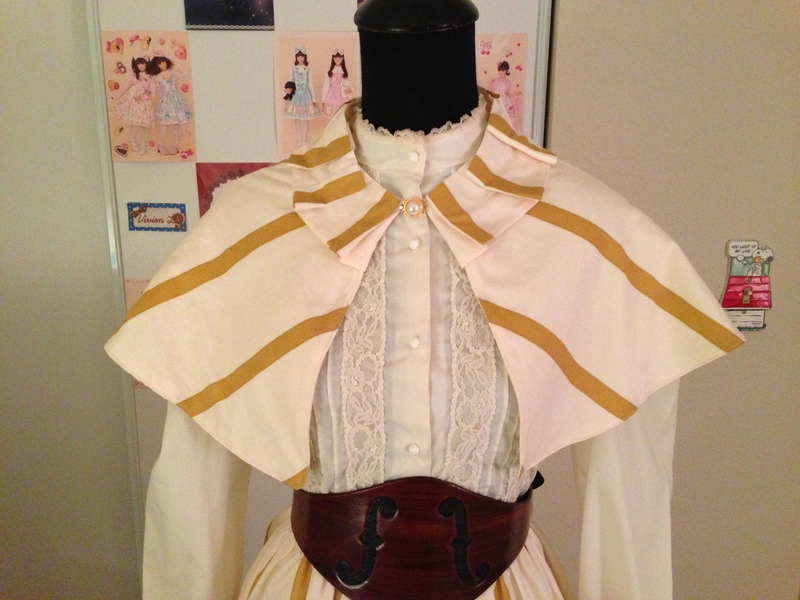 I cut off the skirt and used the sleeves to make new sleeves. I made a waistband and buttoned back using scraps from the dress. I made button loops instead of button holes because I couldn’t overlap the back panels because of the pre-existing sailor collar. The original was so frumpy! I have some navy blue wool that I plan to use with the Black Snail Edwardian Bicycle Skirt pattern. 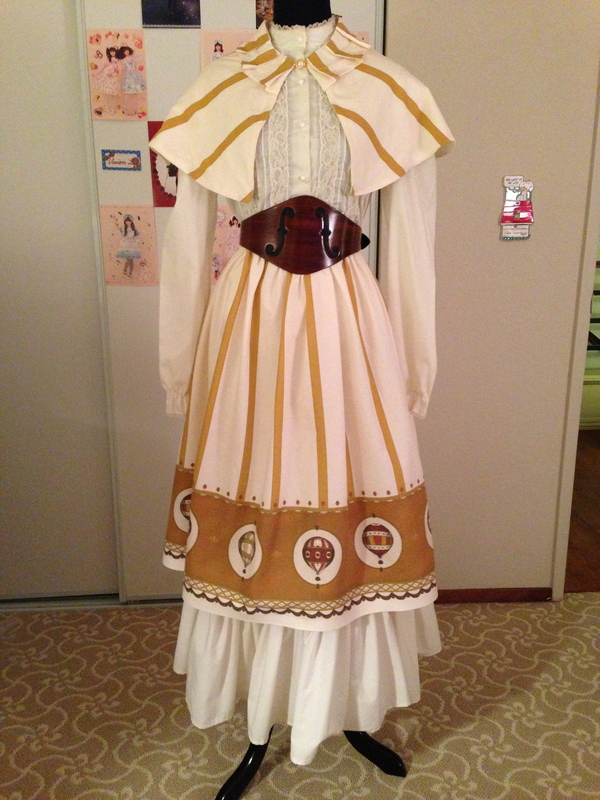 I’ve used some scraps from the dress to make covered buttons for the skirt. With different accessories I plan to use this with a Victorian bicycling outfit and a Wild West event for next year. I hope this will be a versatile blouse! Posted in Steampunk, Victorian and tagged blouse, steampunk, stripes, upcycling, Victorian. Bookmark the permalink.